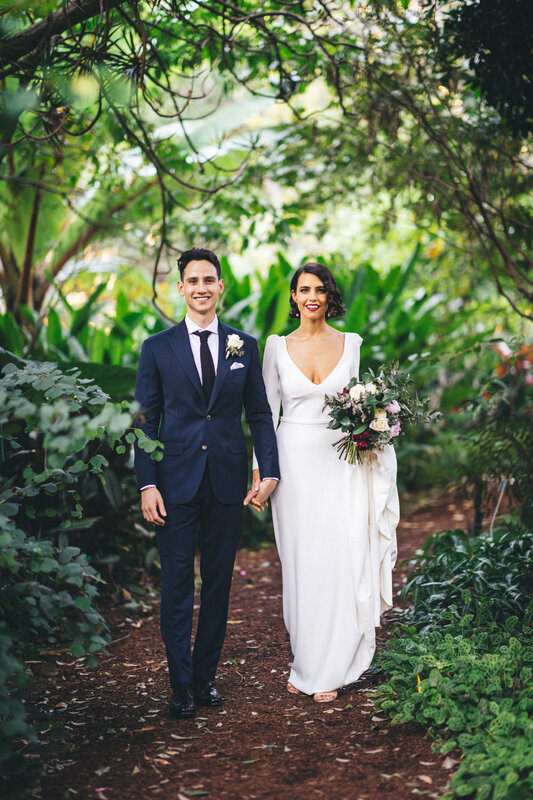 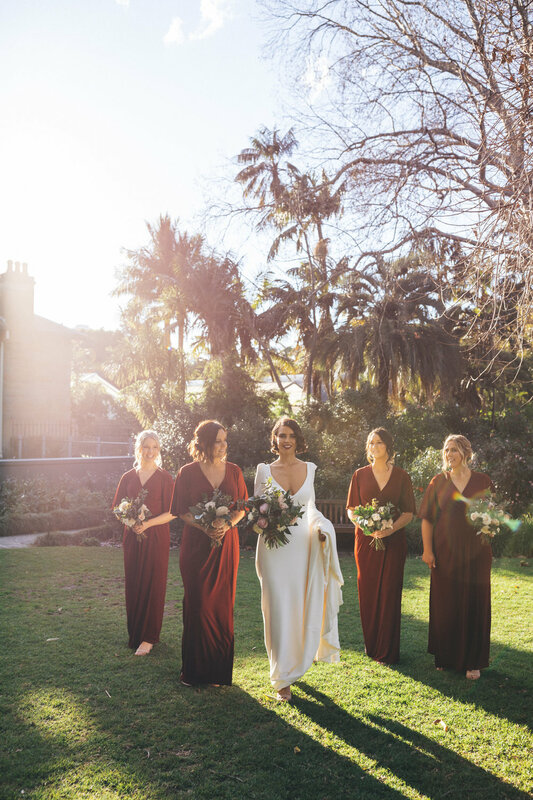 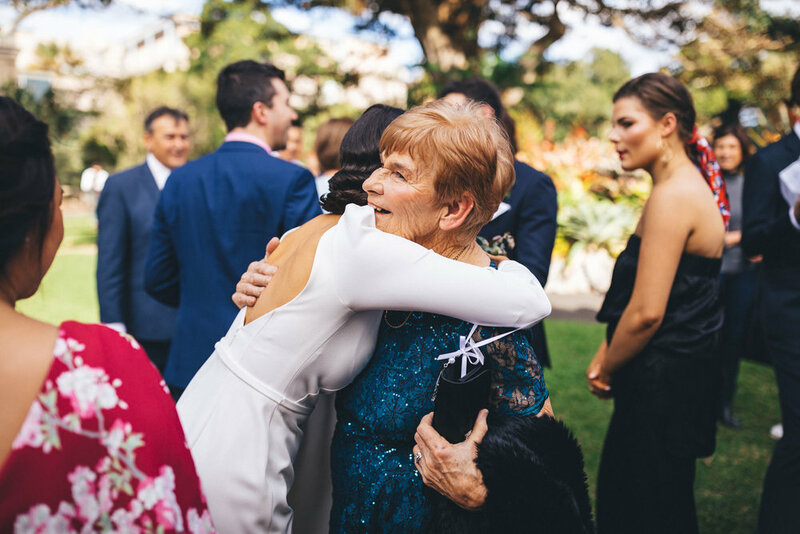 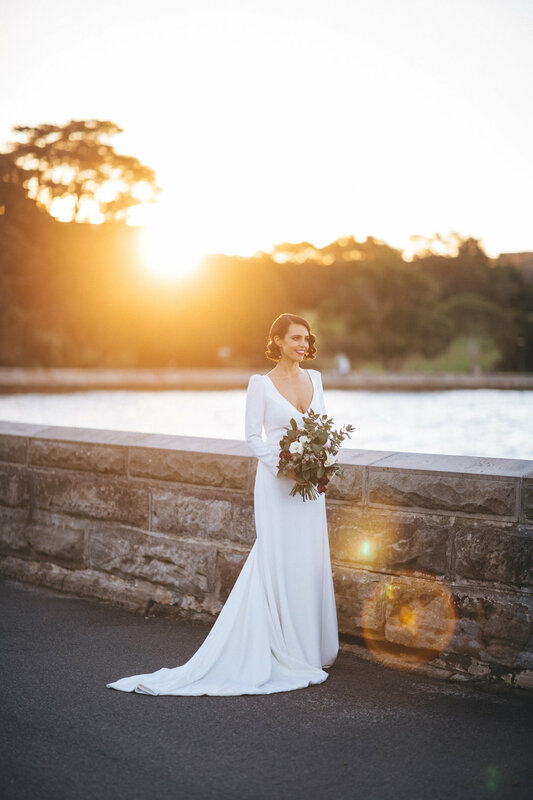 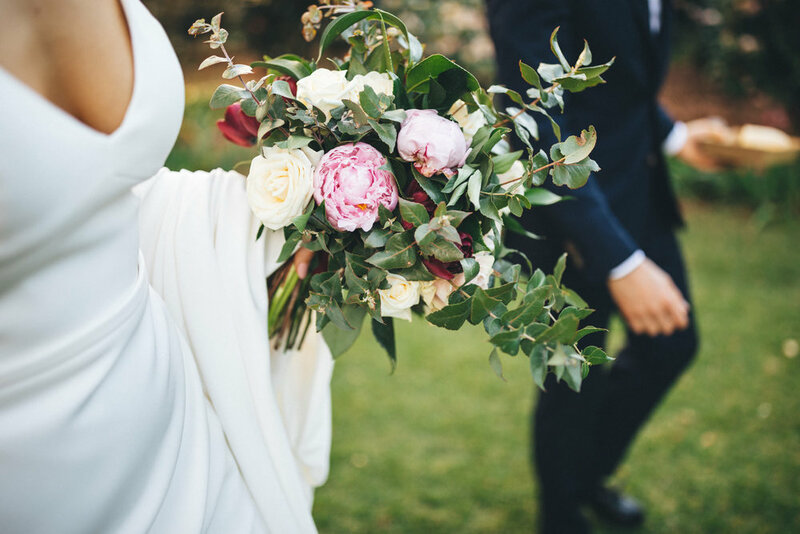 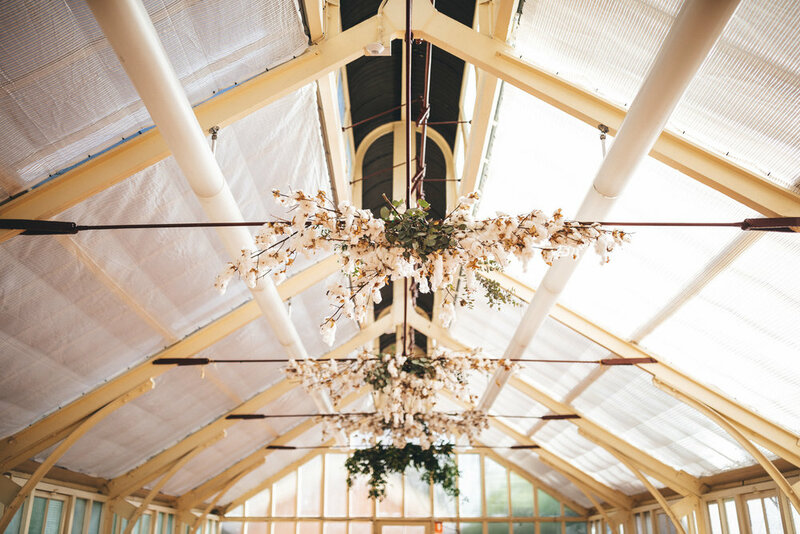 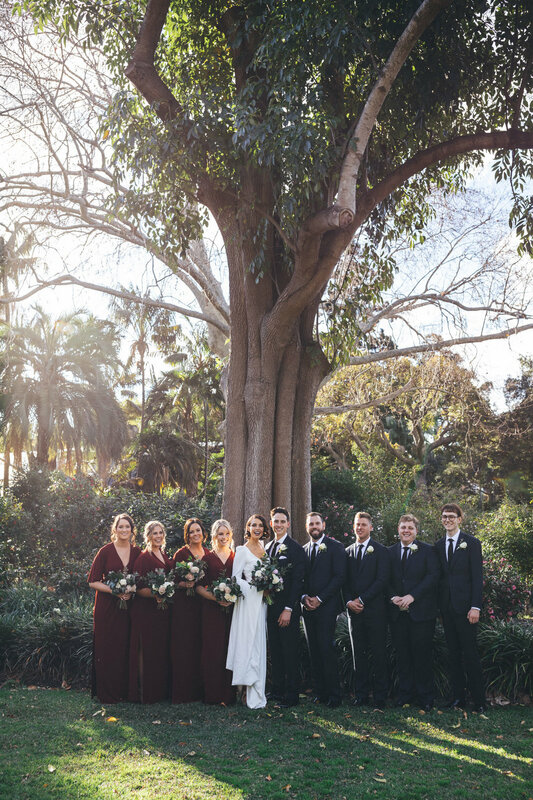 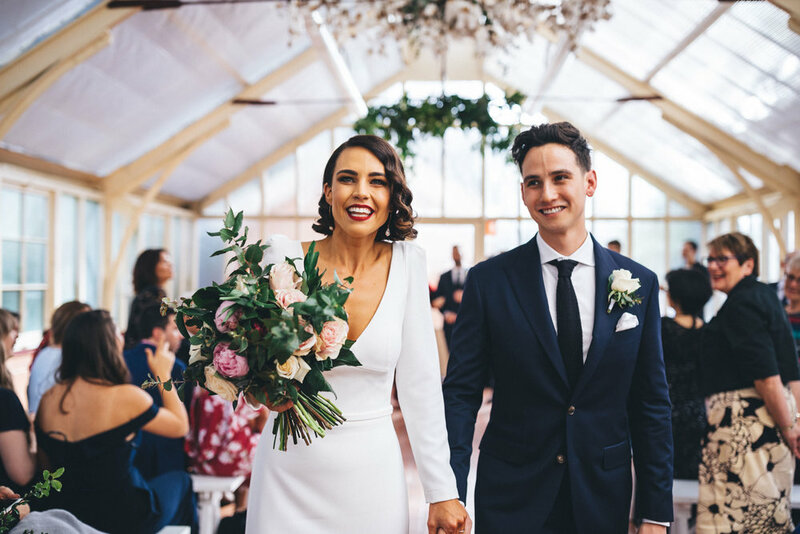 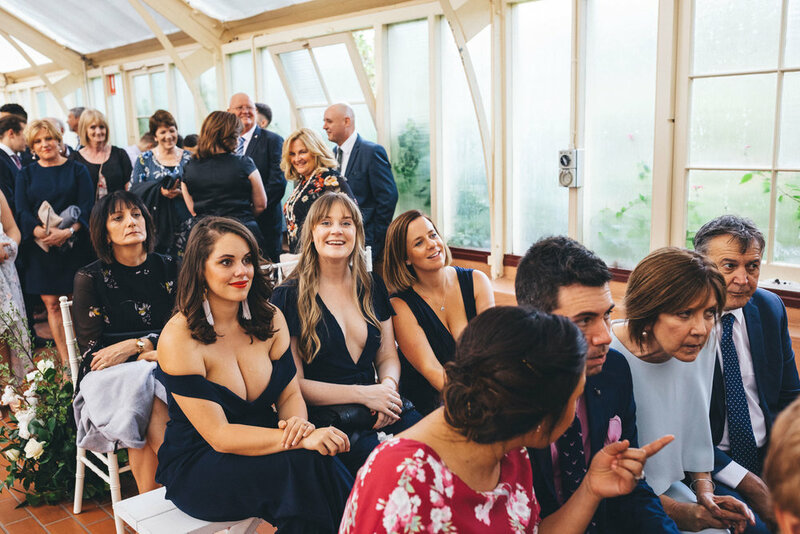 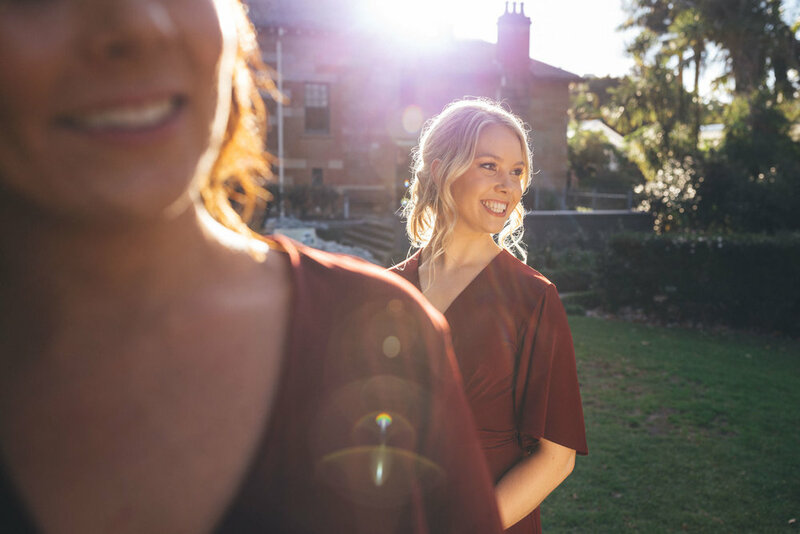 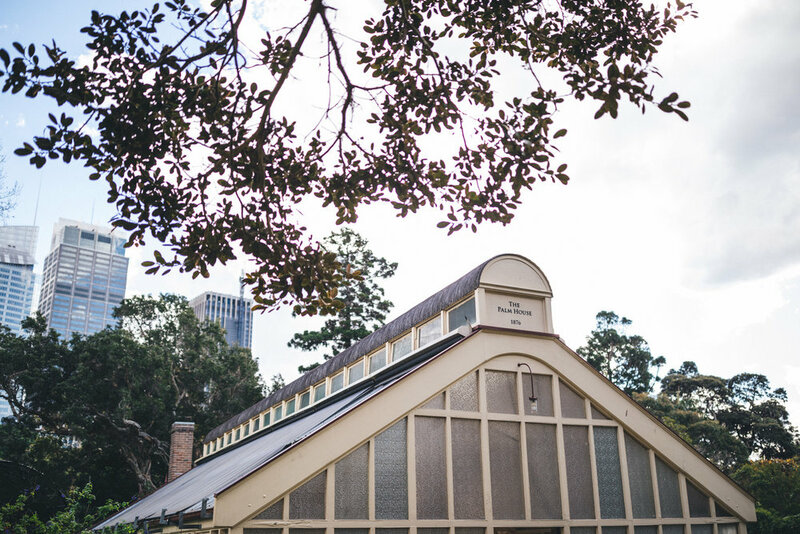 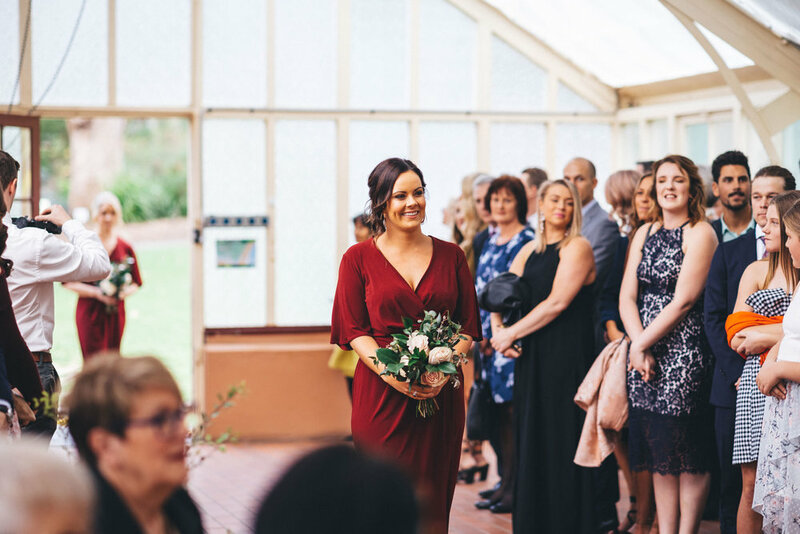 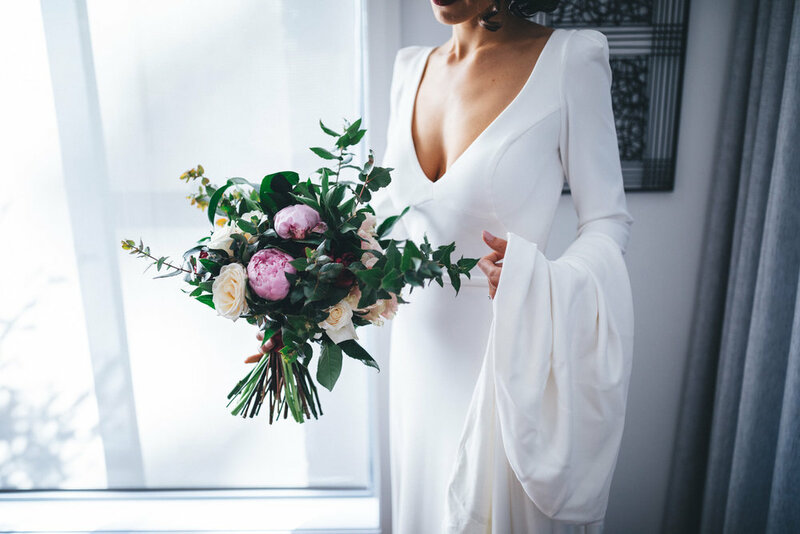 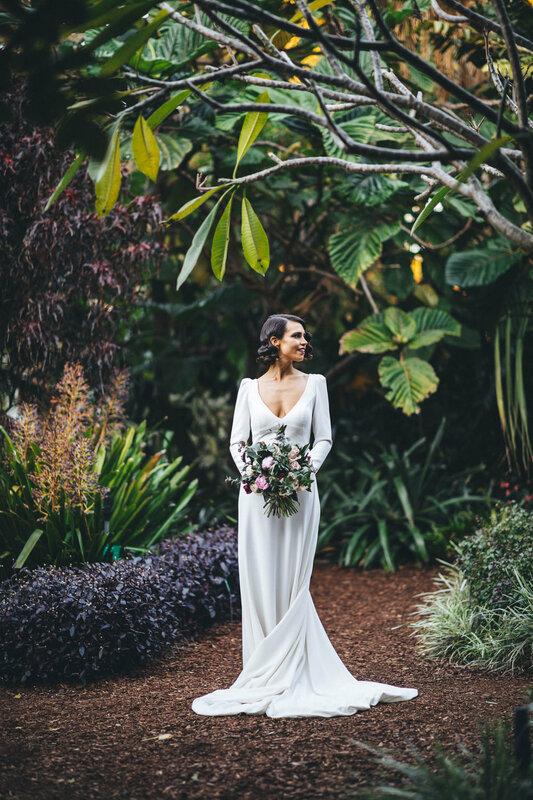 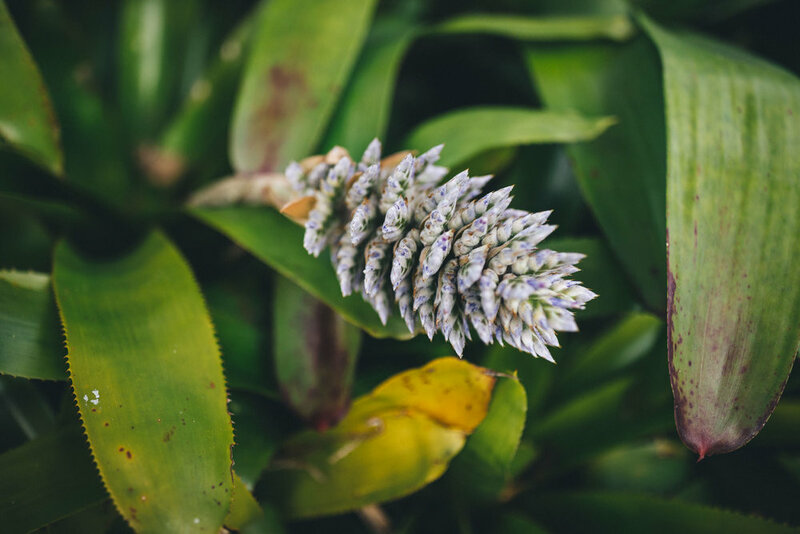 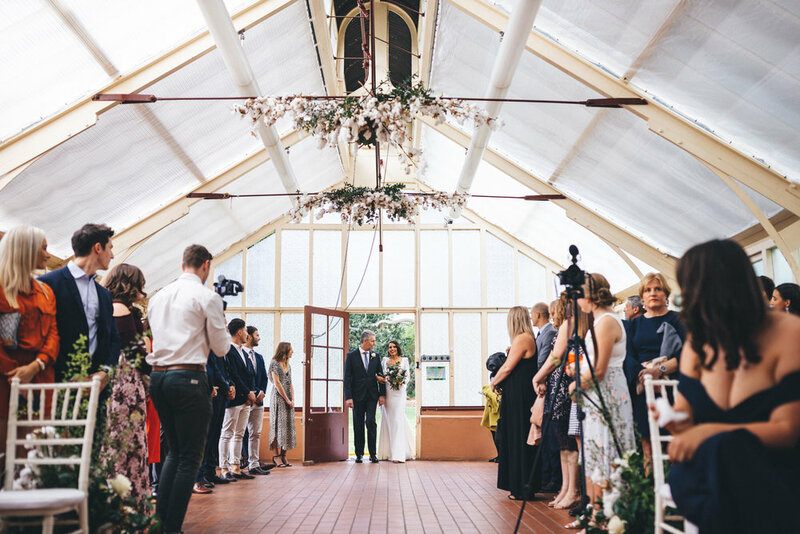 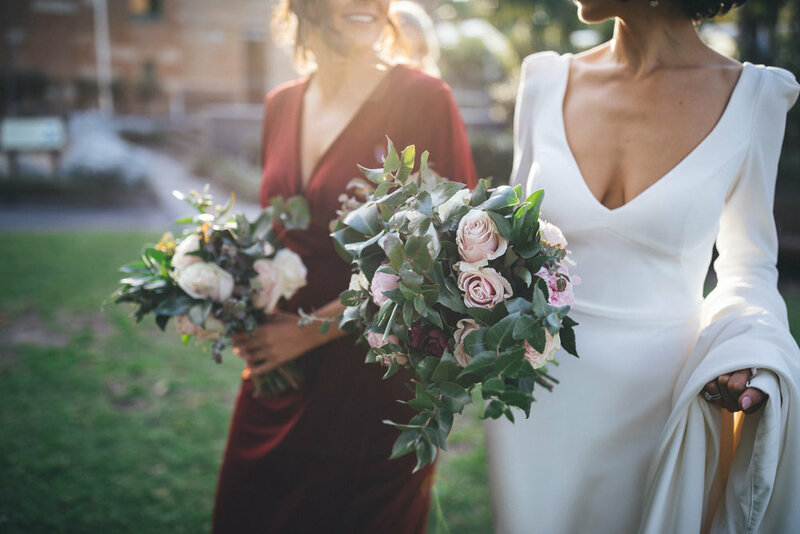 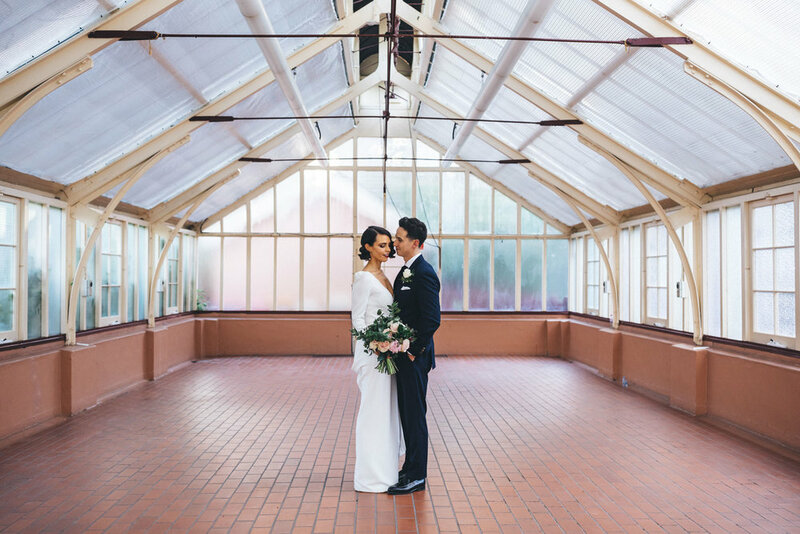 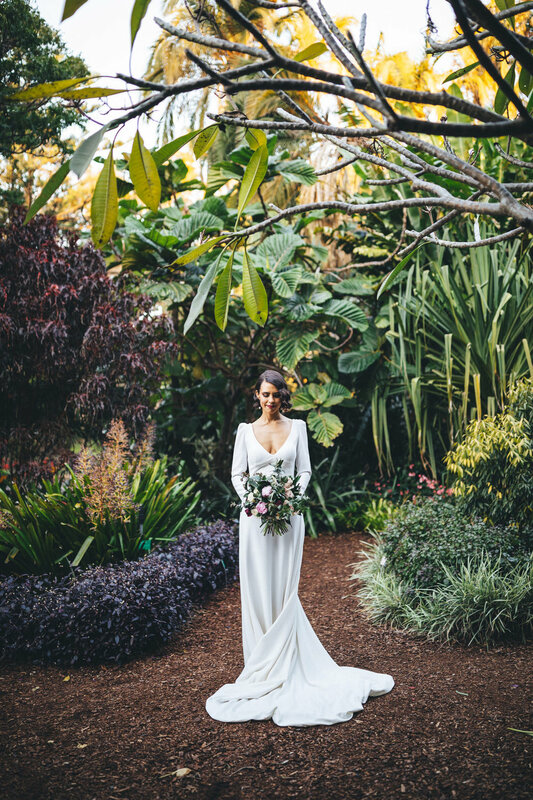 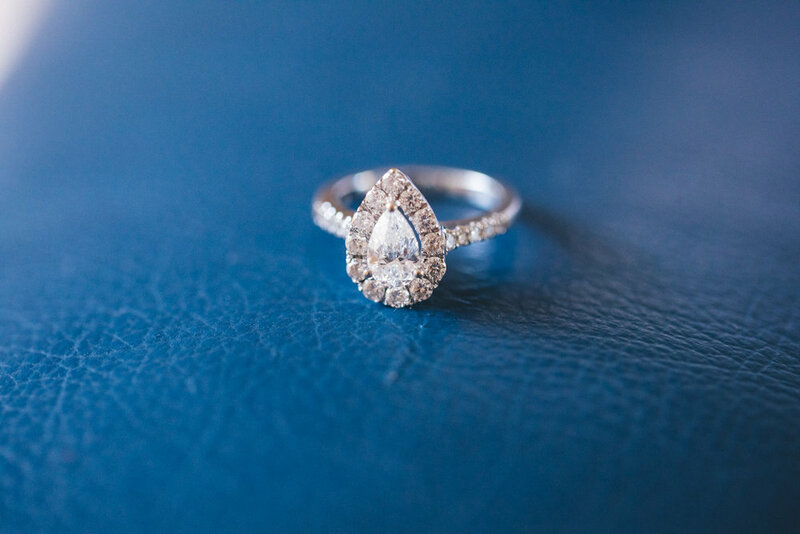 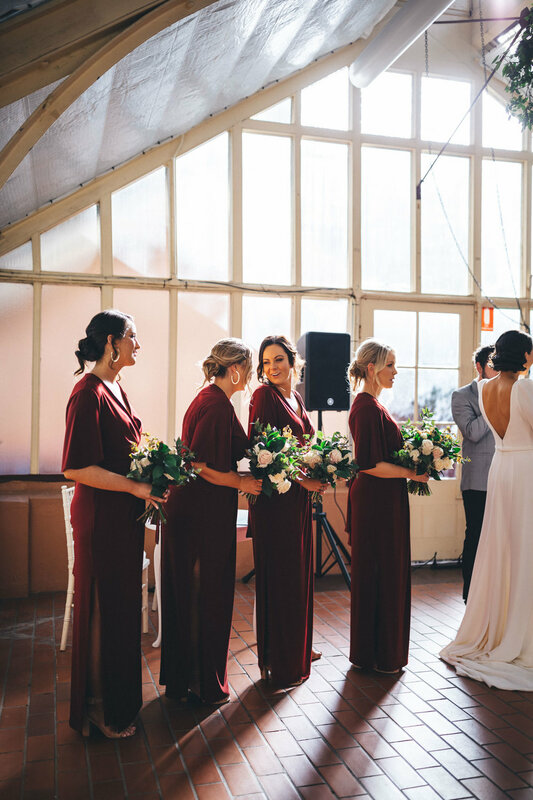 Jessica and Sean’s exquisite winter wedding opened with a beautifully styled garden ceremony, set amongst an ethereally light drenched space inside The Palm House Sydney where they gathered those dearest to them to celebrate their love stemming all the way back to their high school years. 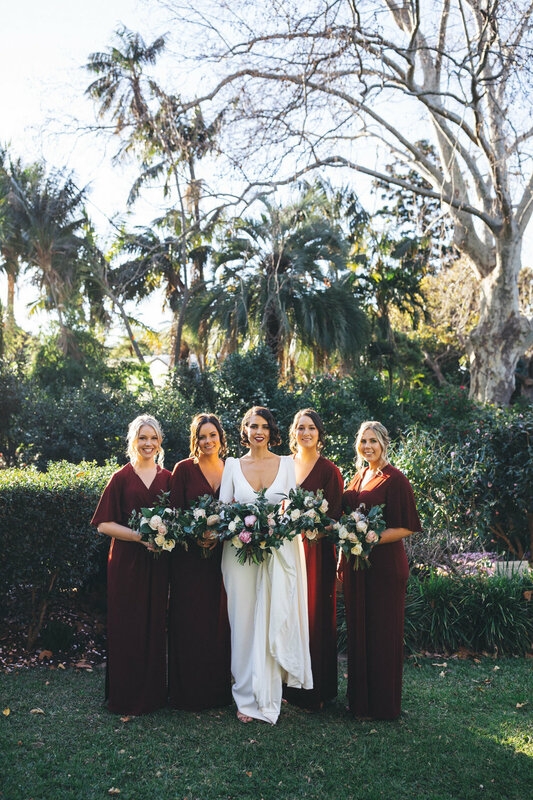 The festivities continued at a private gathering over at Botanic Garden Restaurant, with the room adorned with luscious greenery and soft accents of cotton flowers laced with pink and burgundy blooms by Clementine & Rose. 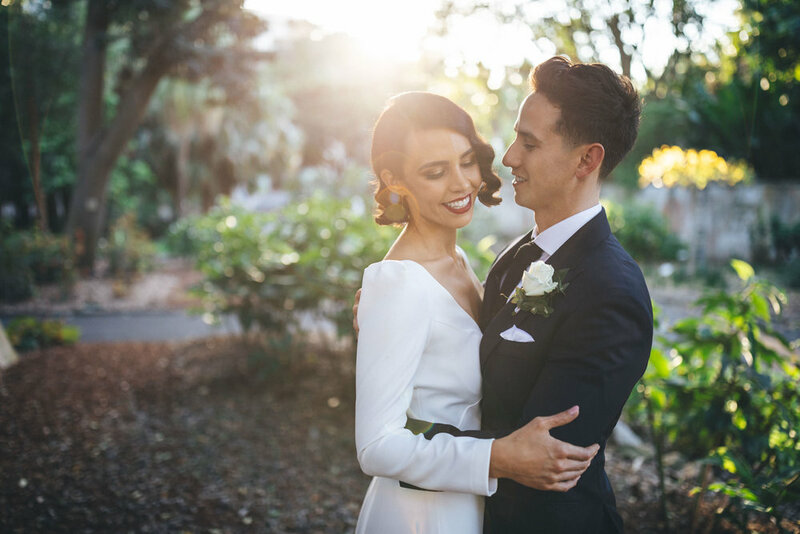 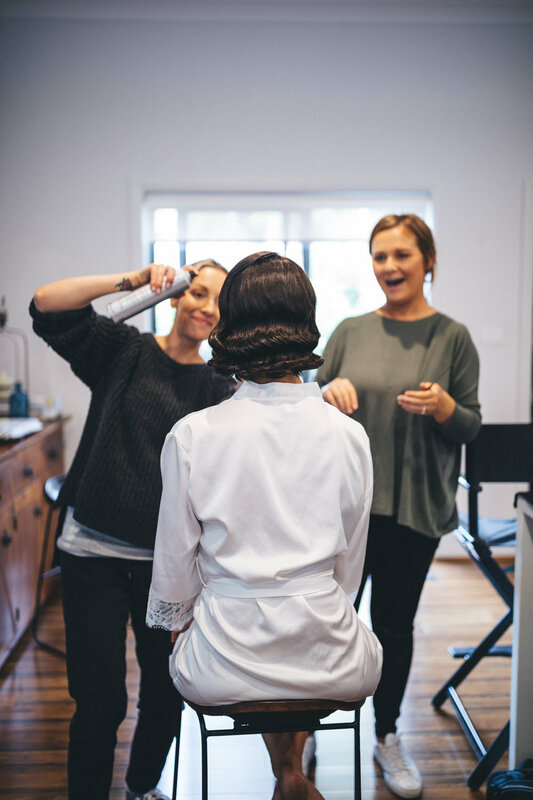 I am still a little in love with Jessica’s incredible Karen Willis Holmes gown complemented with an old Hollywood Gatsby hairstyle by Radical Hair Design and finished off with some really gorgeous 20s make up by the wonderful Rose Mossman from My Addiction Make Up. 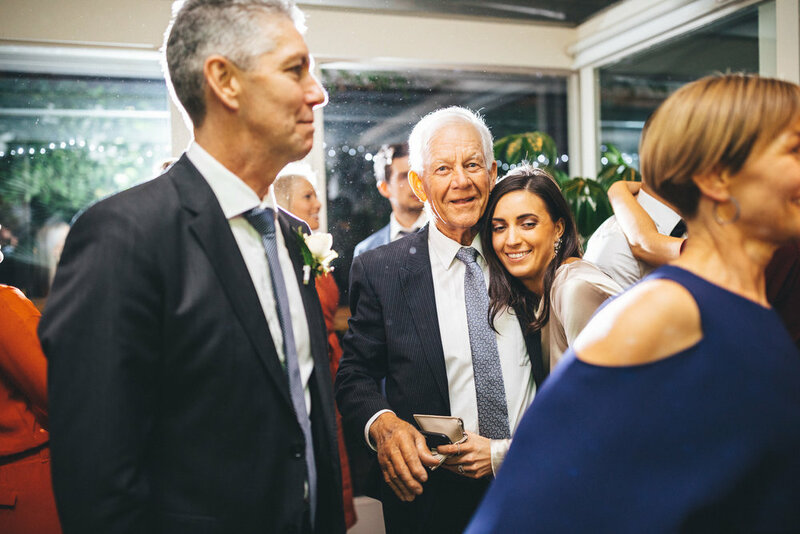 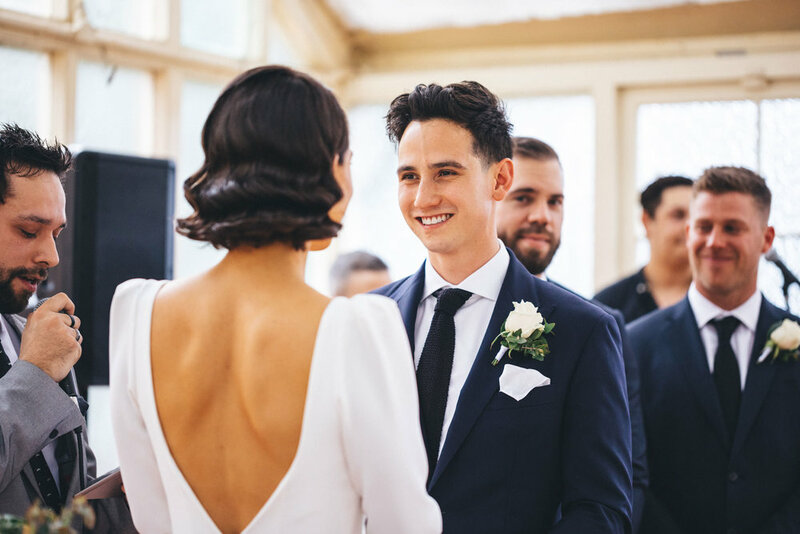 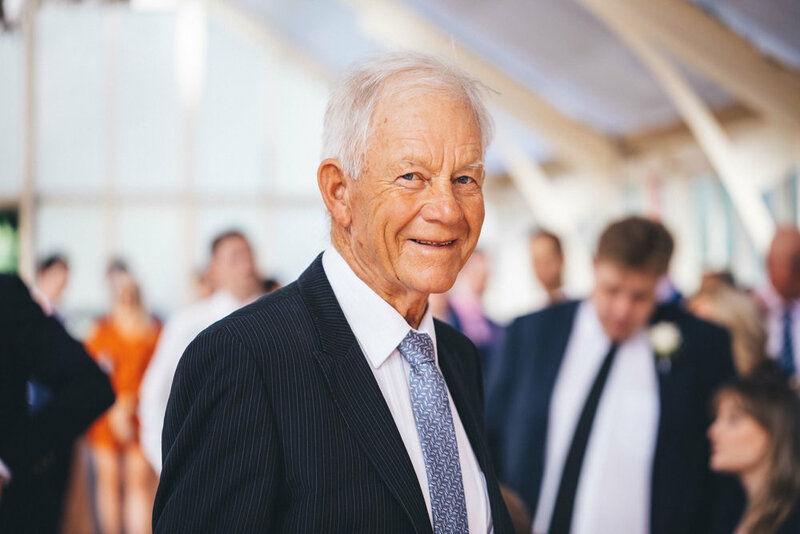 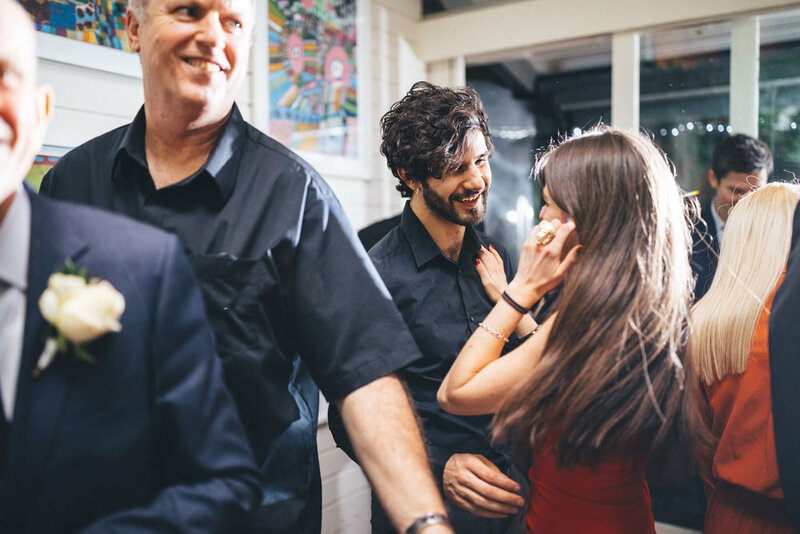 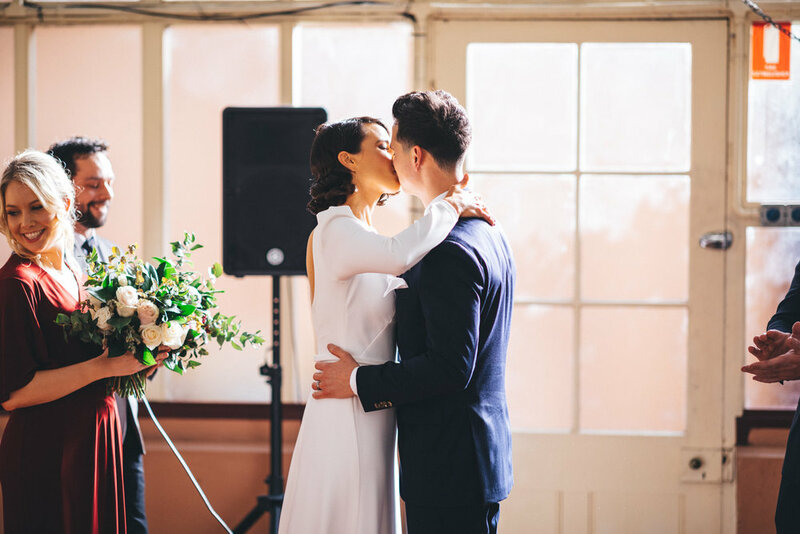 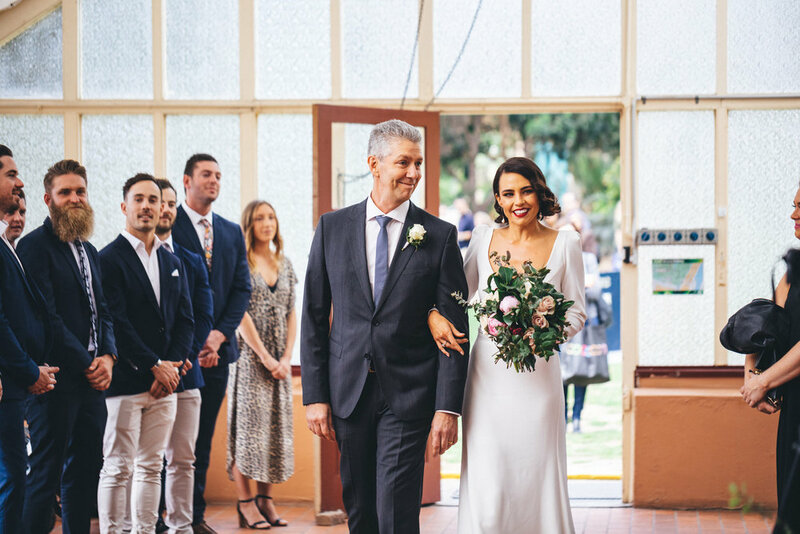 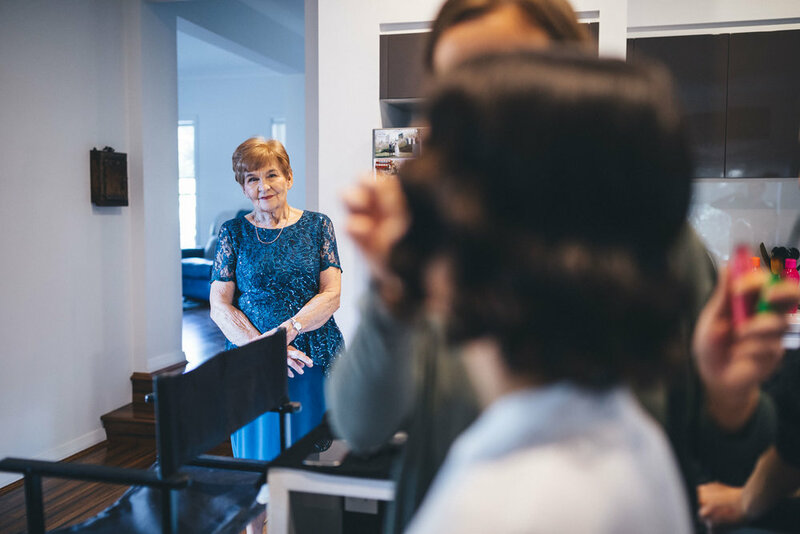 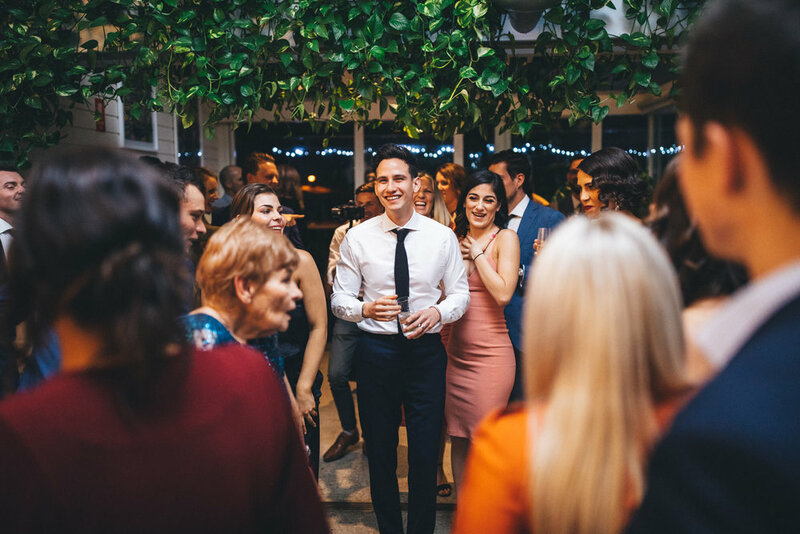 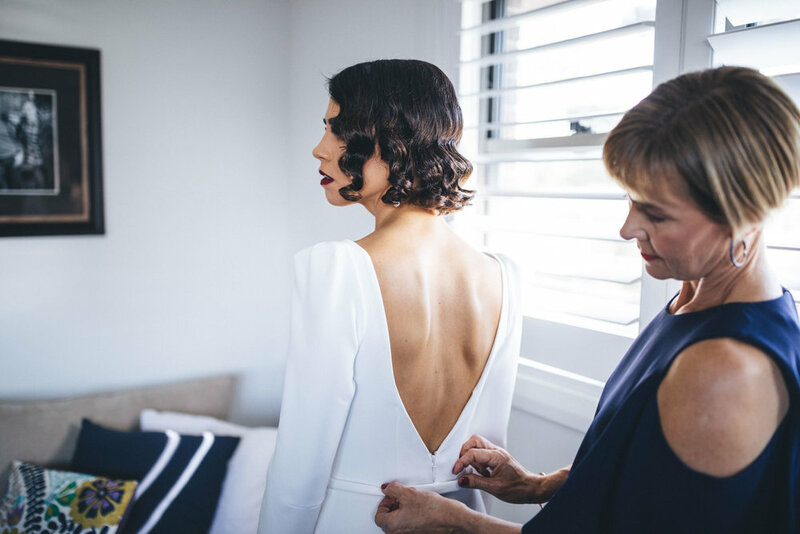 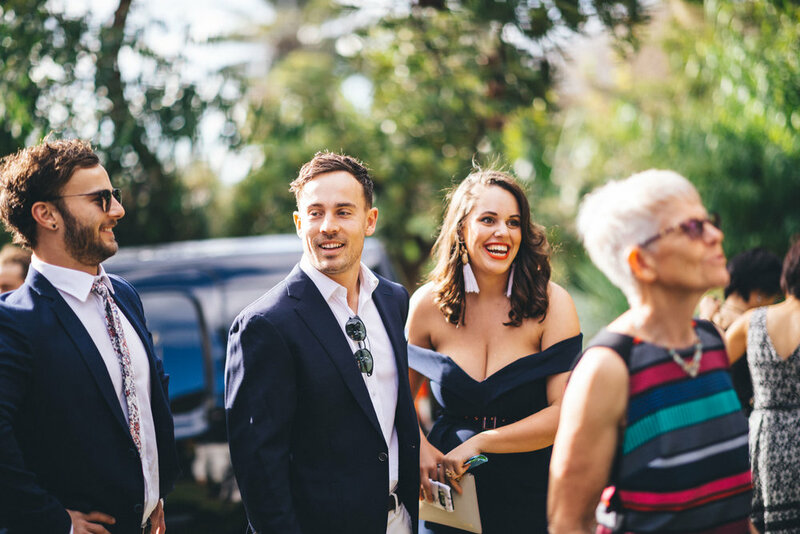 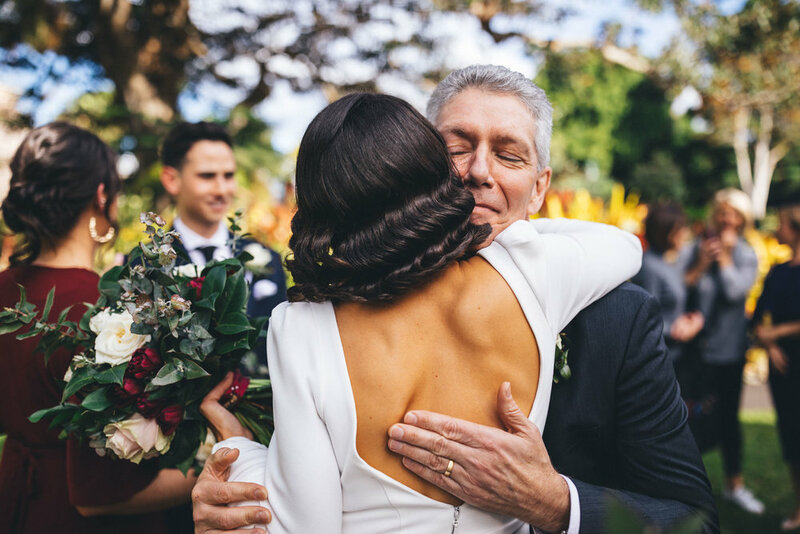 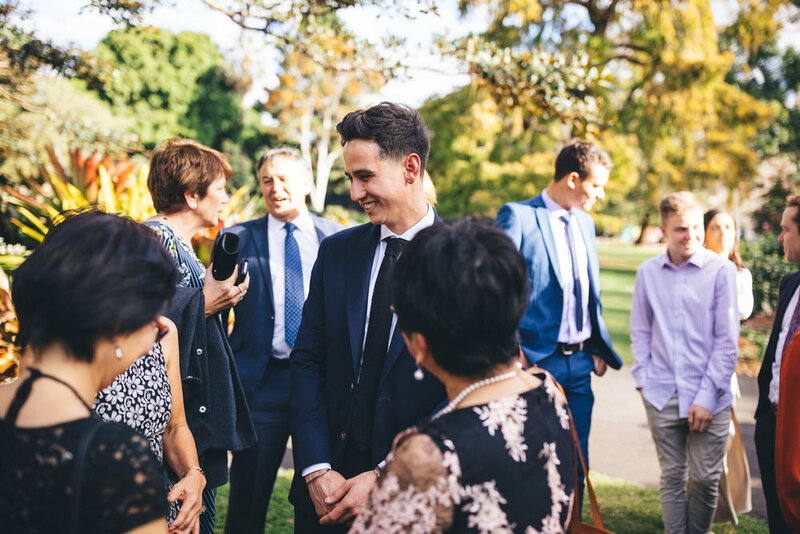 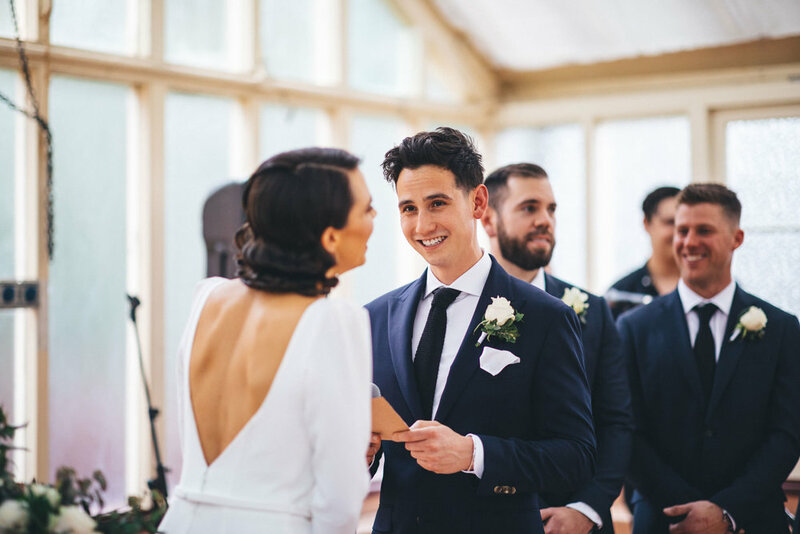 I don’t think there was a dry eye in that room as everyone watched Sean glimpse Jessica and her father for the first time as they walked down the aisle to So Into You covered by Tamia covered by Tyler Azzopardi and Luke Zanc. 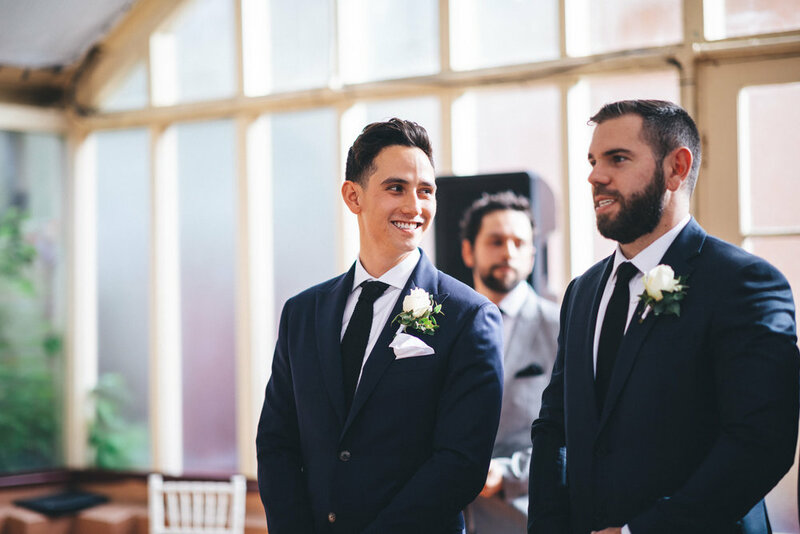 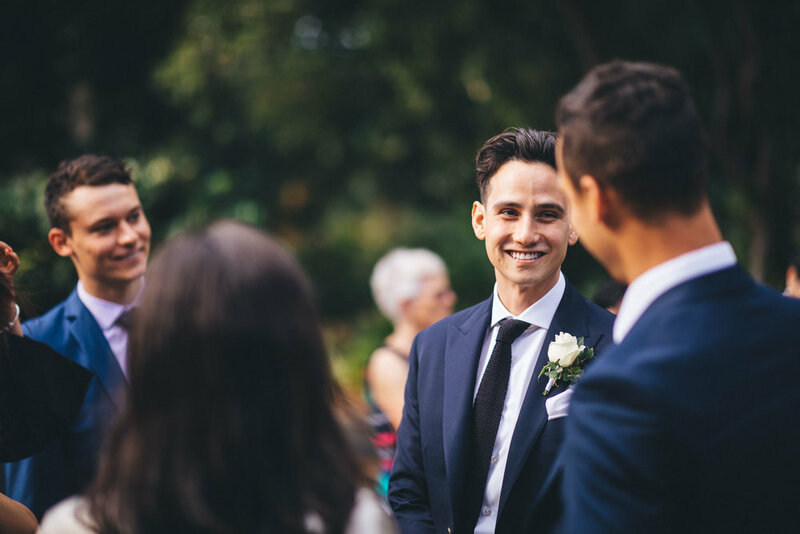 If you look closely at the images from the ceremony you can pinpoint the exact moment these two locked eyes and an overwhelming sense of excitement and joy enveloped them both. 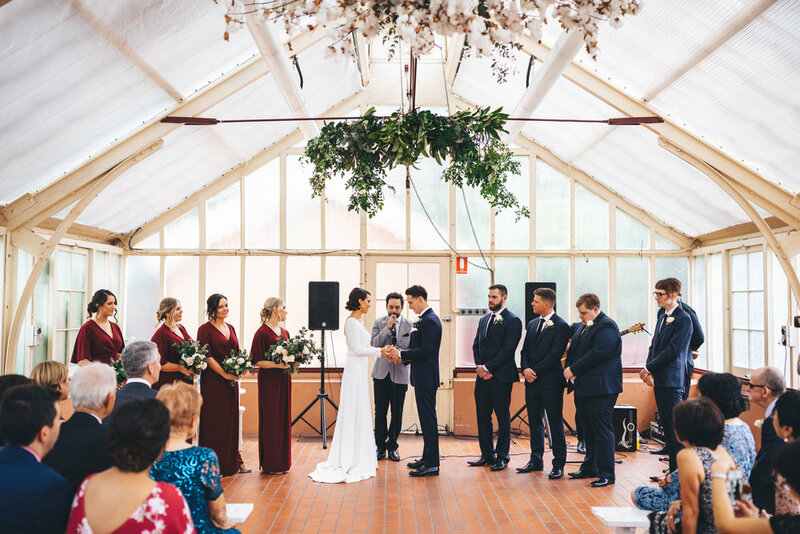 Their vows were personally crafted and spoke of how proud they were of one another, their admiration for each other’s drive to follow their dreams and passions and above all else, pledging their whole hearted support throughout all tribulations and high notes through the rest of their lives together. 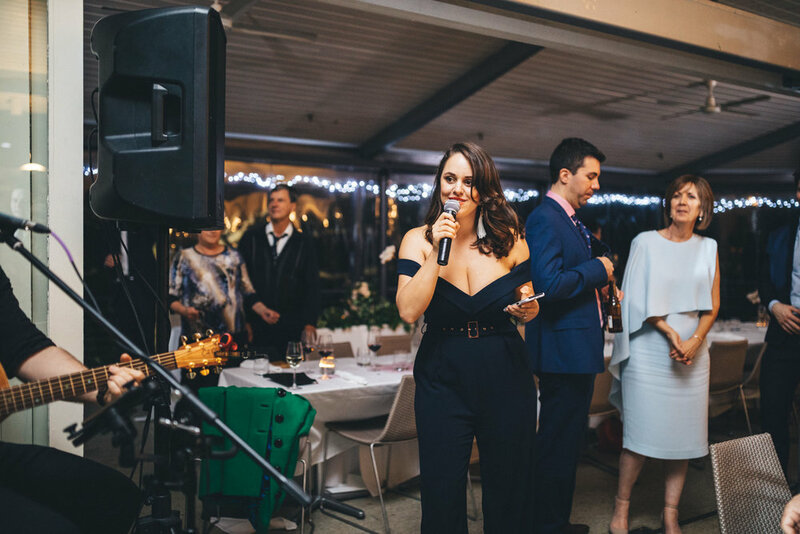 Jess was especially emotional as she shared how when they first finished school and she decided to head overseas for 12 months she often found her thoughts trailing back to Sean despite the exciting adventures unravelling in front of her, wishing that he was beside her there and then to share those special moments in her journey. 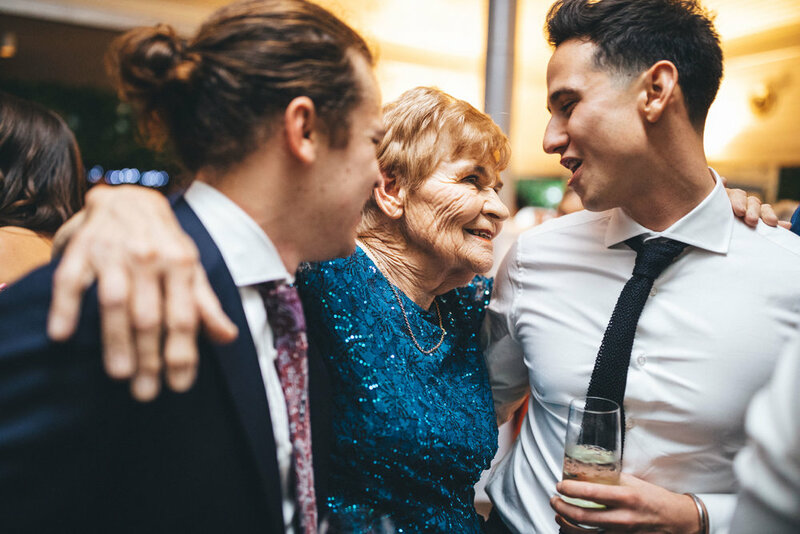 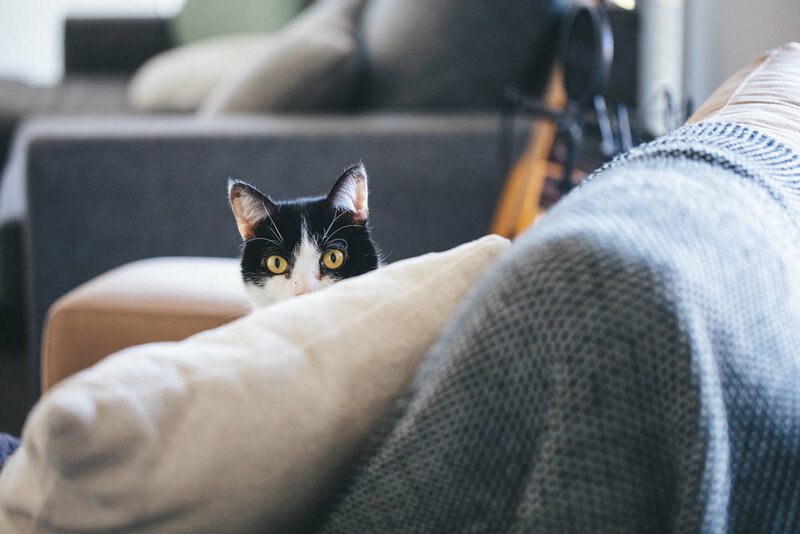 Deep down she knew back then that he would always be her special one. 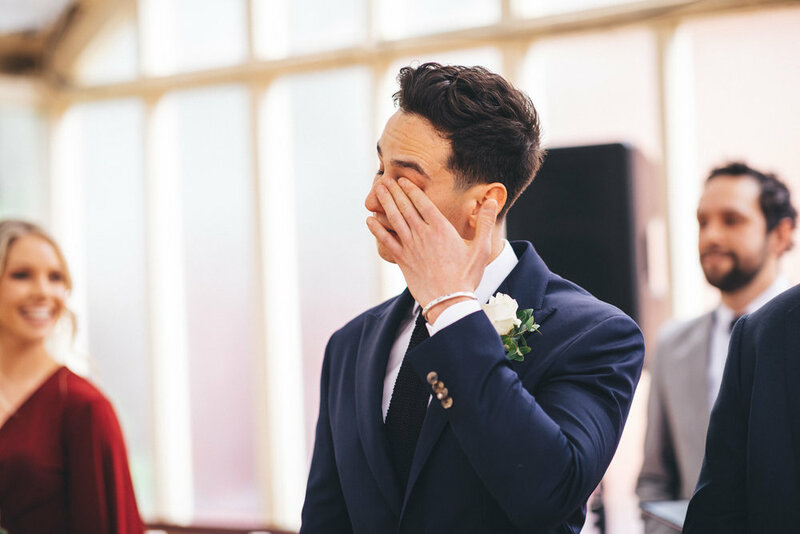 Fast forward nearly a decade forward, on their wedding day, she now carried a whole hearted conviction that he will always remain that one person she wanted to share everything with, that “no matter where we are in the world, being with you feels like home to me”. 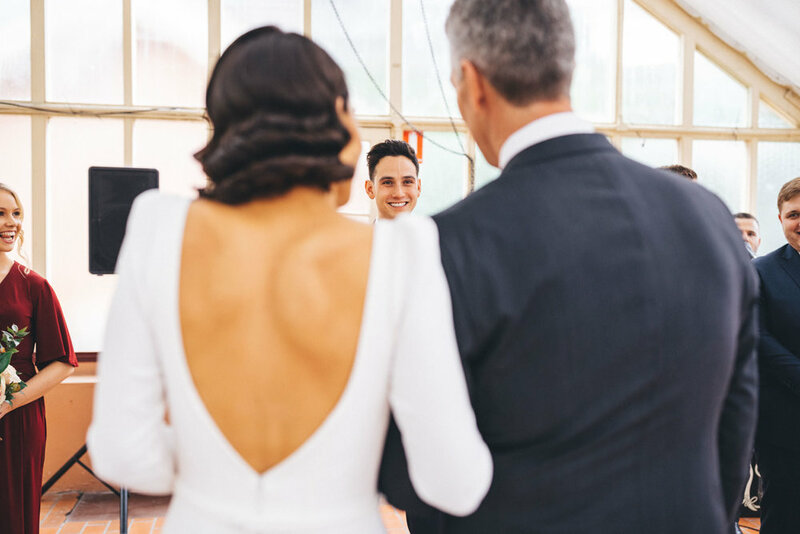 This wedding has been so wonderfully moving for me to document, made up of two beautiful souls who are so undeniably in love with one another, I hope you fall in love with this collection and their story as well.